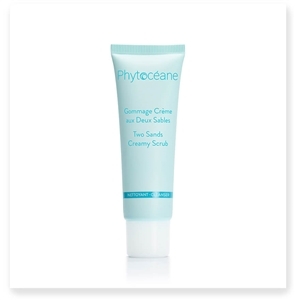 Two natural exfoliants in a creamy texture with fresh aquatic fragrance, for an ultra-effective exfoliation. Phytoceane's GENTLE EXFOLIATING CREAM for Face contains natural papaya enzymes which gently eliminate dead skin cells and impurities. Leaves skin soft and radiant.